Sara and I found this mushroom while on a walk yesterday. It was alone but very stately in appearance. The individual pictured was a part of a larger clump growing out the top of a willow stump. 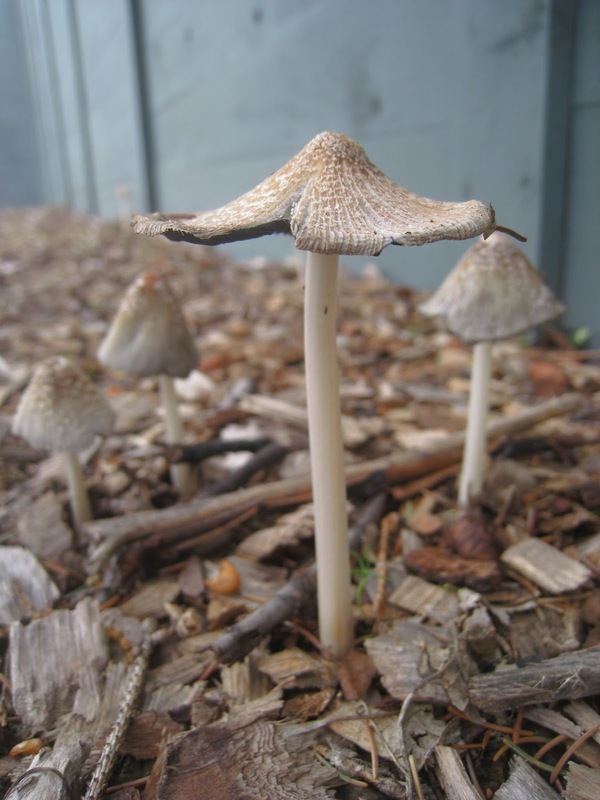 The clump above (and a few more like it) were smaller than the ones pictured above. 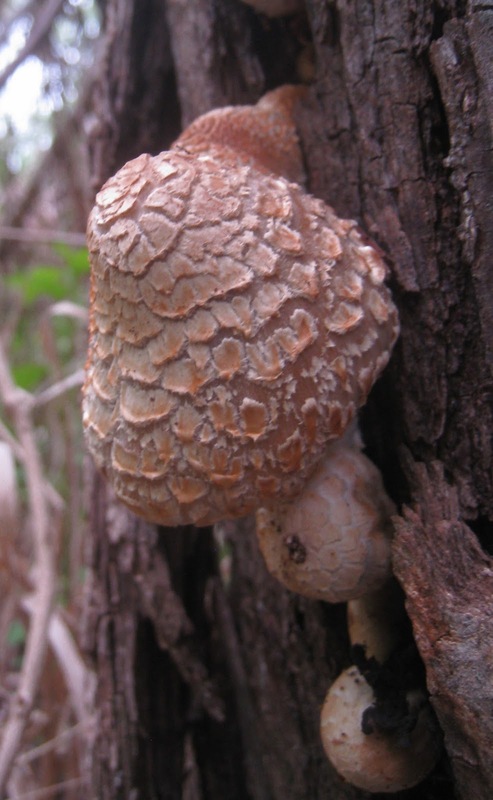 They were growing from base and among the exposed roots of a basswood cultivar growing along the boulevard, which is a slightly diiferent habitat than reported in guides. Resembles the Woolly-stalked Coprinus, Coprinopsis lagopus. 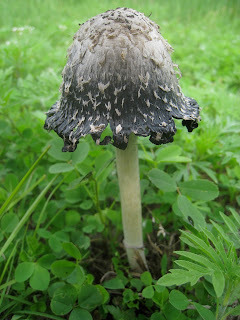 The woolliness is on the cap and stalk (in pictures it can be pretty shaggy) when fresh, but can wear off. These appear a bit more browner than most descriptions. 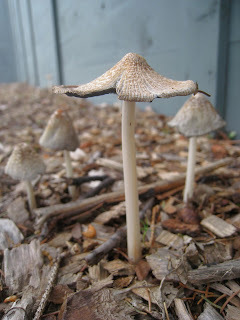 They were growing in wood chips. Sorry, I lost the second half of this post somehow, maybe it'll show up later in the month.